Today is a special day for BISDS. Today is our first day back to Wisma Dharma Chakra at BMV. Today is our first day back to our classrooms and today is our first day to work together to clean up our school. BISDS management took this opportunity to cultivate mindfulness and ownership by involving all students and teachers to clean up the classroom, corridors and toilets of the building. Class teachers and students brought their own cleaning equipment from home. A morning briefing done by Bro David and followed by School Principle briefing and blessing. All students and teachers were briefed on their roles and responsibilities as well as areas of responsibility. 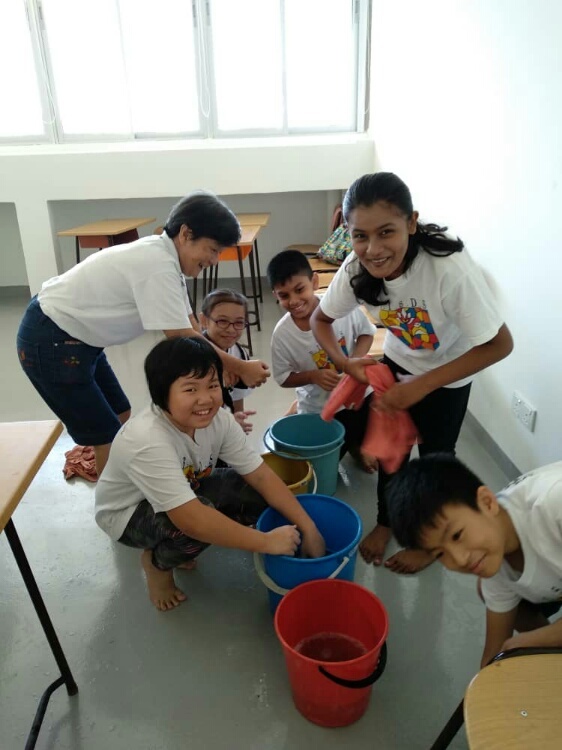 There were 2 supervisors assigned to monitor the progress of the cleaning and lastly we managed to clean up the entire school in 2 hours’ time. We would like to thanks to all students, teachers and staff for your great teamwork.